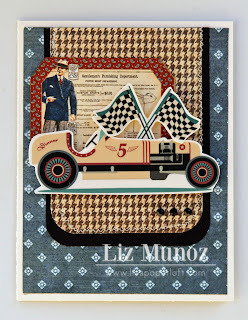 Liz's Paper Loft: Monday Hop with EAD Desings ~ Masculine Card! 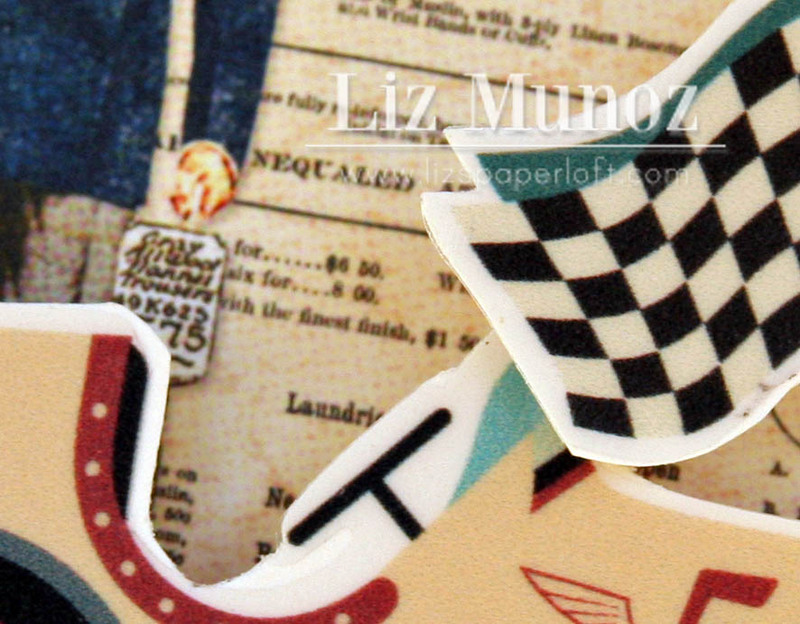 If you are looking for My Creative Time's Scrappy Monday, please scroll down! Hi paper lovers! Yes this is my second post of the day! 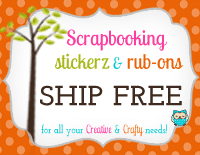 Welcome to EAD Designs Monday Blog Hop! You should have arrived here from the fabulous Julie Ranea. If you just popped by to see me please head over to EAD's blog for the start. Be sure to leave a comment along the way so you can be eligible for this week's giveaway! The hop doesn't officially start til 8am MST. LOVE your card Liz!!! Great colors and perfect stickerz! What an excellent masculine card...awesome work! 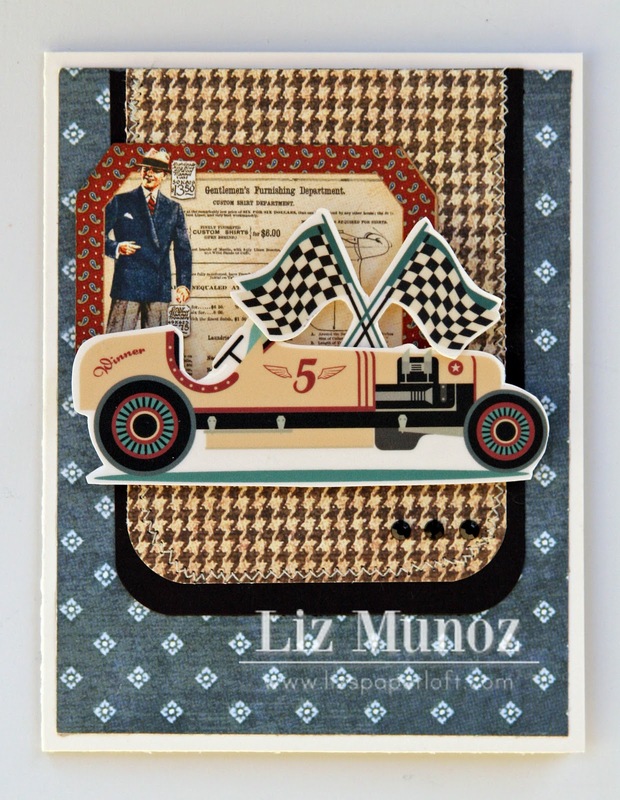 Liz ~ Cool masculine card! I LOVE it! Those stickers are so PERFECT for a man! But you know ~ I have to say this ~ I LOVE that houndstooth! So FABULOUS how you tied that in on a man card! WOW!!! You can never have too much masculine card and this looks amazing. 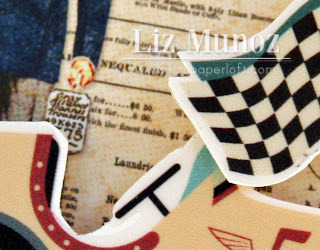 Liz, you rocked this! 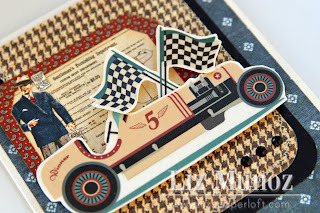 You make masculine cards look easy-peasy....gorgeous card!!! That is a wonderfully masculine card, Liz!! Perfect card for a gentleman Liz! Great job on the card! ohhhhh great guy card!!!! LOVE it!!! !